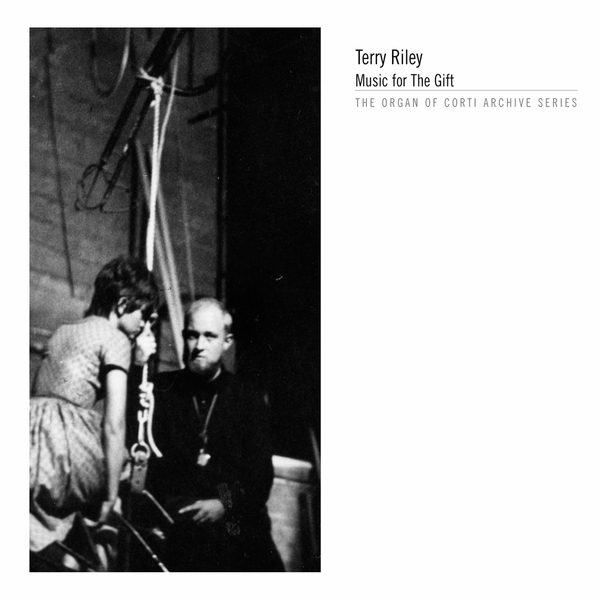 Music For The Gift collects four of Terry Riley's most significant tape works: the titular 'Music For The Gift' (recorded live in Paris for Radio France, and featuring Chet Baker), Bird Of Paradise (a five part tape assemblage - a forerunner of 'I'm Gonna Rain'-era Steve Reich), the woozy, pharmaceutically-inspired 'Mescalin Mix' and finally 'Concert For Two Pianos and Five Tape Recorders', featuring La Monte Young. Any follower of Riley's work, or 20th century minimalism in general, will already be aware of the significance of these recordings, but this music's more than a time capsule, it still all sounds wonderful and remains daringly experimental. From the real-time electroacoustic morphing of Chet Baker's quartet performance on 'Music For The Gift', to the submerged, radiophonic driftscapes of 'Mescalin Mix', this music paints a portrait of early electronic experimentation at its most visceral. Very highly recommended.